Commercial grade aluminum hull center console to handle big water. Evinrude 200 horsepower direct injection provides plenty of power to carry a load of fishermen or a big group of watersports enthusiasts! 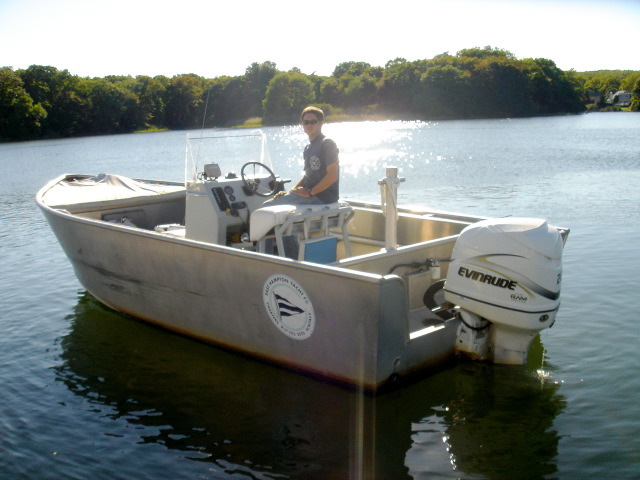 Boat has a commercial stregth tow bar- perfect for wakeboarding or tubing.